New uprising artist BMSdakid have released another new hit single. Shortly after releasing the hit single “Limes” on the Trend City Radio airwaves it charted in its very first week. Debuting at number #19 in the #Top25 Allstar countdown was extremely impressive as a new artist. Now BMSdakid have released his second single which now have similar success to the first one. 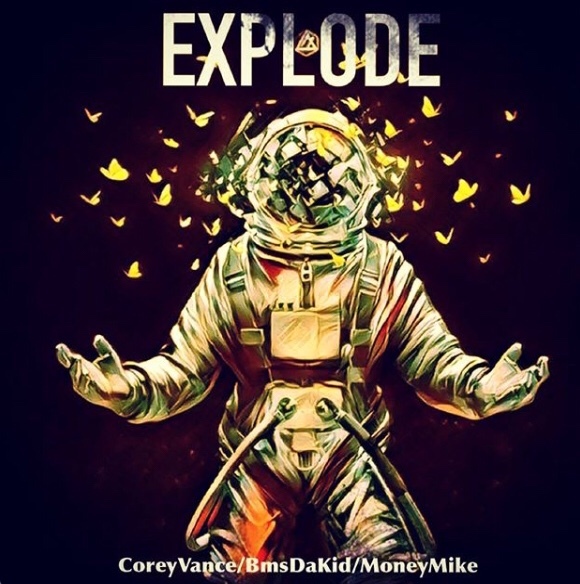 The new hit single titled “Explode” featuring the talented Corey Vance & Money Mike, did exactly just that. It Exploded all over the Trend City Radio Friday live show, racking up many votes to enter Sunday’s countdown. It debuted on the countdown at number #23 & still was one of the highlight single’s of the show. The reason being is the star stutter vocals throughout the entire song. Every high note is hit to perfection. It could also be the production, the beat instantly grabs your attention. Or maybe it’s the lyrics! The songwriting in this song is absolutely phenomenal, people from all ages across the world can relate. The combination of it all is what creates such a powerful sound. I rate the “Explode” single 5 outta 5 Flames! BMSdakid is inspired by artist such as Kendrick Lamar, Kanye West, Chris Brown & Akon to name a few... His only goal is to be successful. You can help BMSdakid accomplish this goal by clicking the link & listening to his new hit single “Explode”.